The present job market is largely candidate-driven. According to the U.S. Bureau of Labor Statistics, there are more job openings than there are people to fill these positions. As a result, 92% of employers expect a rise in competition for talent. This clearly indicates that the tables have turned in favor of job seekers. Attracting and recruiting top talent is becoming increasingly demanding. Retaining top-performing employees is also becoming difficult. Companies are constantly working to improve their employer branding to differentiate themselves from their competitors. 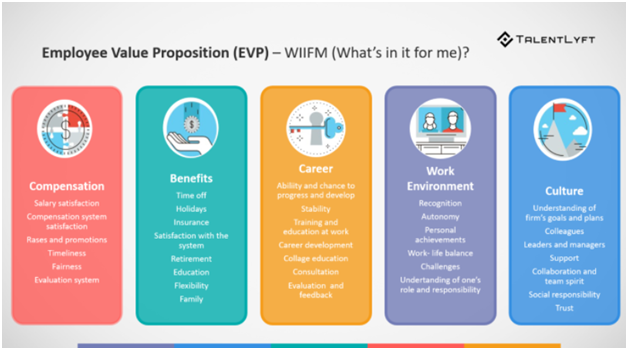 You talent value proposition (TVP) or employee value proposition (EVP) is a key factor in setting your company apart as an employer. Most employers understand the importance of crafting a tempting TVP. However, when it comes to execution, they limit themselves to offering competitive salary and benefits. Why is Your Talent Value Proposition Important? The first and most obvious advantage of a power-packed talent value proposition is that it attracts talent toward your company. It gives you an edge over your competitors by positioning you as an employer who really cares about your employees. In addition, it is instrumental in engaging and retaining top employees. Moreover, a strong TVP also helps you to cut your recruiting expenses significantly. For instance, imagine your potential recruits are being targeted by another company offering a similar salary package. In such a scenario, you will have to offer an even bigger paycheck in order to lure candidates. The other inexpensive solution is to outdo your competitors by emphasizing the other values you offer as an employer. In fact, according to a study by LinkedIn, the final deciding factor for most potential employees is beyond compensation and benefits. They also consider the scope a company offers in terms of career advancement and skill development. Thus, the ideal talent value proposition must be financially as well as intellectually stimulating. Now that we know the importance of a strong TVP, let’s discuss some ways to enhance it. A talent value proposition is not just about a fat paycheck. In fact, it is a combination of certain tangible and intangible incentives. The tangible incentives include compensation (salary and bonuses) and benefits (insurance, leave policy, retirement benefits, etc.). The intangible components of TVP include career advancement and stability, work environment, and company culture. The ideal TVP should strike a fine balance between these tangible and intangible components. Along with an attractive pay package and additional benefits, employers must strive to create a positive work environment. In addition, you should prioritize employees’ growth by providing them with opportunities to enhance their skills. This can be in the form of training programs or challenging projects. Your TVP also depends on the type of candidate and the job profile for which you are hiring. For instance, if you want to recruit a creative writer, flexible work hours and career development might be more crucial than compensation. On the contrary, if you are hiring for a position in sales, additional benefits might be the best way to tempt potential recruits. Therefore, it is important for you to have a complete understanding of the ideal candidate you want to recruit. In addition to being a perfect fit for the job, the candidate should also gel with your company culture. Identify what would drive such a personality to work in your company. Define each component of TVP in order to appeal to this candidate. The best way to craft an attractive TVP is by interacting with your current employees. Get a thorough understanding of what tempted them to select your company. Question them further to identify what keeps them motivated at their job. Finally, ask them to point out any changes they would like to see in the company that would inspire them further. This will make them feel that you care about them, in addition to giving you the chance to improve your TVP. Another crucial step is to learn from exit interviews. Employees leaving your company for a better option can point out what drove them to take such a step. This gives you insights into your shortcomings as an employer. Identify all that you could have done to retain your employees and incorporate these factors in your TVP. A TVP is not just a tool to attract new employees. It is just as important to retain your current employees. In order to do so, you have to make them feel appreciated. Simple rewards such as “employee of the month” can go a long way to improve efficiency and productivity. Seeking their feedback and opinion in crucial company matters can also make them feel valued. It is advisable to organize periodic team gatherings to celebrate all achievements, big and small. Gift them with material rewards such as medals, trophies, discount coupons, etc. Sponsoring employees to attend training programs also conveys that you care about their progress and growth. Having an enticing TVP is of no use unless the word reaches your potential recruits. The best way is to have a dedicated career page or site. Showcase your TVP on this website by adding testimonials from current employees. Use video snippets to exhibit the employee-friendly work culture in your company. A candidate-driven job market makes it imperative for employers to enhance their talent value proposition. It is a reflection of the human side of your company. Your work environment and company culture are just as crucial as monetary incentives. Your main objective should be to reward your employees financially and professionally, as well as intellectually. 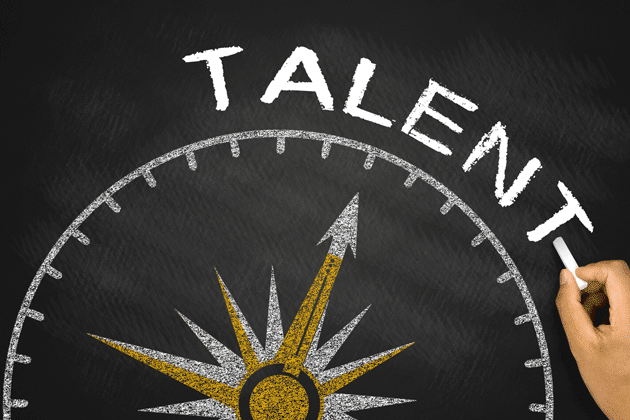 Do you have any other tips for enhancing a talent value proposition? Share your views in the comments section.